He’s already started his professional career, but the collegiate accolades continue to roll in for Cooper Zech. 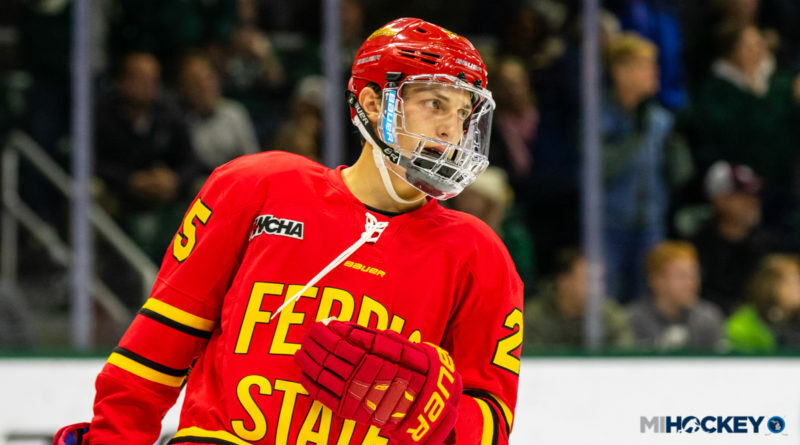 The South Lyon native was named the WCHA’s rookie of the year today, as the college hockey conference saluted the Ferris State freshman defenseman once again. Zech was previously named to the WCHA All-League First Team and All-Rookie Team after he led all WCHA rookies in scoring with 24 league points and 28 total NCAA points. He was the first player in 31 years to lead Ferris State in scoring as a freshman.